That’s the unanimous conclusion of a nonpartisan task force. It should teach us not to overreact to the Boston bombings. The Boston Marathon bombing briefly united the nation in horror, grief and a commitment to persevere. That unity quickly disintegrated, however, as Republican senators called for treating the surviving suspect, Dzhokhar Tsarnaev, a 19-year-old US citizen, as an “enemy combatant”—and for interrogating him at length while denying him access to an attorney. At Slate, conservative law professor Eric Posner proposed that Congress enact a new statute authorizing detention and interrogation without counsel for all “terrorism” suspects. Recognizing the suspect’s rights, the senators and the scholar claim, may deny us valuable intelligence. These suggestions are flawed on multiple fronts. First, how can we declare someone an enemy combatant when there is no evidence that his acts were part of an armed attack by anyone other than himself and his brother? Not every act of terror is an act of war. 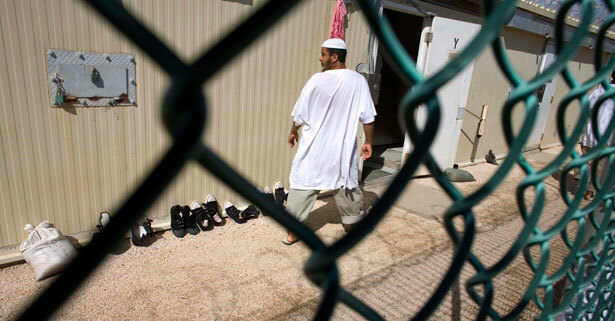 Second, the Supreme Court has questioned whether the Constitution would permit detention as an enemy combatant of a US citizen arrested on US soil for domestic acts. It upheld the military detention of a citizen captured in Afghanistan, but five justices appeared to take the position that the same authority would not apply domestically, where the criminal justice system is readily available. Third, citizens can’t be tried in military commissions, because Congress limited those proceedings to foreign nationals. And fourth, even enemy combatants are entitled to consult with a lawyer to pursue a habeas corpus action. A sweeping new law authorizing isolation and interrogation of terrorism suspects would fare no better. The Constitution requires that people arrested without a warrant be brought before a judge for a probable cause hearing within forty-eight hours, at which point they are advised of their rights. Long-term detention without charge is not a constitutional option. On April 21, the Obama administration did invoke the “public safety exception” to Miranda to interrogate Tsarnaev without warnings, although it simultaneously said there were no immediate threats to public safety. The truly perverse thing about these efforts is that they were designed to keep Tsarnaev away from lawyers, without evidence that a lawyer’s presence would obstruct investigations. David Kris, who headed the Justice Department’s national security division, has argued that providing terror suspects with lawyers actually helps get them to talk, because lawyers often understand that given the charges and evidence, the best thing a client can do to mitigate the penalty he almost certainly faces is to cooperate. So the solutions being suggested are in search of a problem that does not exist. We can be virtually certain there will be other suggestions: that we increase camera surveillance, that we tighten our immigration laws still further, that we ramp up spying on Muslims and the like. Some reforms may make sense. But if history is any guide, many will betray our fundamental values and prove counterproductive. The task force found further that there was “no firm or persuasive evidence” that the use of harsh interrogation tactics “produced significant information of value,” and that the Office of Legal Counsel lawyers gave “erroneous legal sanction” to the practice. These conclusions are unlikely to surprise Nation readers. But the report was not written by typical Nation readers or writers. The task force was chaired by Asa Hutchinson, a Republican who served in the Bush administration and has most recently acted for the NRA in its opposition to gun control; and by James Jones, a former Democratic representative and ambassador to Mexico. Its members included former senior government officials, a former president of the American Bar Association, two retired Army generals, a former FBI director and a former United Nations ambassador, along with several distinguished professors and doctors from across the political spectrum. These days, it is difficult to find common ground between Democrats and Republicans on almost anything. Yet on this task force, they agreed—unanimously—that the Bush administration’s most senior officials are responsible for war crimes and abuses of fundamental human rights, including torture; enforced disappearances; and cruel, inhuman and degrading treatment. By having the courage to render a consensus judgment, the Constitution Project’s task force may help us navigate the future with more resilience and commitment to our values than we showed after 9/11. But this report is not sufficient. Because it was not an official commission, the task force lacked the power to subpoena witnesses and to examine classified information. The Senate Intelligence Committee has conducted just such an official investigation—and has written a 6,000-page report coming to conclusions that are said to agree with those of the task force. The committee has delivered the report to the executive branch for its comments, and will undoubtedly be guided by the executive on whether it can be released to the public. If we are to learn from the terrible mistakes of the past, Obama should declassify as much of that report as possible. To his credit, he declassified the “torture memos” written by Justice Department lawyers, saying that because he had barred such tactics in the future, the legal rationales underlying them could be made public. The same thinking should compel disclosure of much of the Senate report. Accountability is essential to ensuring respect for the rule of law, and true accountability cannot be secret. Back in 2010, Aziz Huq was reporting that Attorney General Eric Holder was seeking to strengthen the “public safety” exception to Miranda warnings.